Aliens Vs. Predator toppled 2K Games' BioShock 2 in the UK, as the unshakeable Just Dance maintains the second position on the all-platforms charts for the week ended February 20, Chart-Track said Monday. Alien Vs. 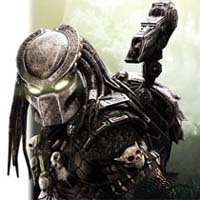 Predator was published by Sega and developed by UK-based studio Rebellion, the same dev house that created the original Aliens Vs. Predator in 1999 for desktop systems. The new game released on PlayStation 3, Xbox 360, and PC. Sales of BioShock 2, which debuted the week prior, dropped 71 percent week-on-week, falling behind the Wii-exclusive music game Just Dance, which has been at or near the top of the UK charts for several weeks. Chart-Track said that this year has already seen number ones from five different publishers. Likely driven by interest in the Winter Olympics in Vancouver, Sega's Mario and Sonic at the Olympic Winter Games saw unit sales rise 76 percent from the previous week, as the title moved up three places to number eight. Sega's Vancouver 2010 rose 274 percent, breaking into the top 40 for the first time at number 11. Below are Chart-Track's all-platform unit sales rankings for the UK, which lump together sales of all versions of a given title. All three versions of Aliens Vs. Predator made the top 10 on Chart-Track's individual platforms list, which ranks individual versions of games by platform. The Xbox 360 version led the way, although the PS3 version couldn't quite overtake the Wii-only Just Dance.